NHS workers are the true heroes of the UK, selflessly devoting their lives to caring for others rather than chasing corporate glory or profits. I’m sure there are plenty of us who have been made to feel reassured by a nurse’s kind words, or an ambulance worker’s quick thinking. And many more will owe such individuals their lives. 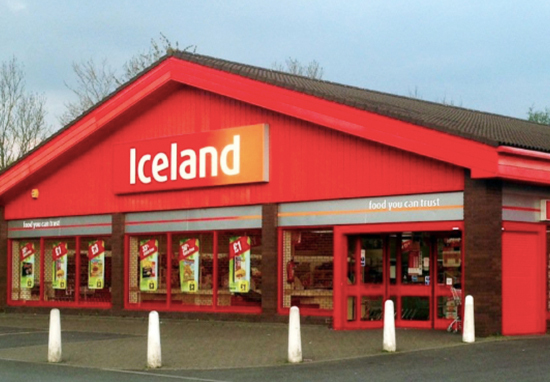 These inspiring men and women can now bag themselves a free treat at the end of a long, gruelling shift all thanks to affordable supermarket, Iceland. NHS and emergency service workers can currently enjoy a free pizza AND a free ice-cream from the frozen food proprietor, as long as they’ve made sure to swipe their NHS Emergency Service Bonus Card at the till. Eligible customers may receive two till printed coupons between September 9-15 – alongside their regular shopping receipt – which are then redeemable between September 9 – 22. So you’re best off hurrying to avoid missing out. Both products are usuallly worth £1 each, and as we all know it’s always lovely to have a bit of spare change you wouldn’t have normally had towards the end of the month. 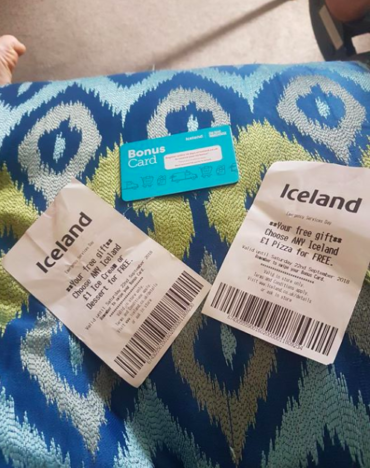 It’s also worth knowing the vouchers cannot be redeemed online, so you will have to nip in to your local Iceland to claim your well deserved treats. The offer was spotted by delighted customer and NHS worker Rosie Hunt, who shared news of her unexpected bounty on thrifty Facebook community page Bargain Buys For Busy Mums. This was music to the ears of many hard working mums of the NHS, who left appreciative comments on Rosie’s post. What a great idea. About time the people who do these amazing heroic jobs got something back other than abuse. Happy for them. There goes the diet. Cheers chick. And Iceland aren’t the only ones celebrating NHS heroes, in the year which marks the 70th anniversary of its formation. Hallmark Hotels are currently allowing NHS Staff to stay for free on Sunday nights after spending a minimum of £50.00 on food and drinks at Hallmark Hotels. To celebrate the 70th year of the wonderful NHS, we’re welcoming all NHS team members to stay at any of our 22 Hallmark Hotels (Hallmark Inns excluded) on Sundays until 27 January 2019. To qualify, simply spend a minimum of £50 on food and beverage in our Hallmark Grill or lounge bar. Our menu offers a no fuss collection of best of British comfort food with some international favourites thrown in for good measure. With a wide range of locations to choose from, from Aberdeen to Cambridge, we look forward to welcoming our NHS heroes with open arms for a well-deserved break. Pizza and ice cream make a totally ideal Friday night in my humble opinion and if there’s one group of people who deserve a yummy treat without dipping into their hard earned wages, it’s those who work in the NHS and emergency services.